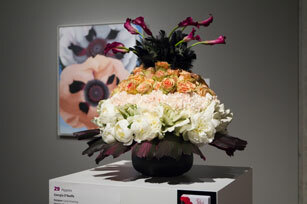 Celebrate the artistry of flowers as three Midwestern art museums host “Art in Bloom” exhibitions, this spring. Top floral designers from each city will create stunning arrangements as they interpret select pieces in the museums’ collections. The Museum of Fine Arts in Boston is known to have sprouted the idea in 1976, and museums around the United States and other countries have since adopted their own versions. Many host a weekend full of luncheons, floral design workshops, garden tours, evening galas and gardening lectures. One likely sellout will be the Minneapolis Institute of Arts’ lecture by Nancy Clark, former chief floral designer at the White House as she shares insights into the distinctive styles of six First Ladies and several behind-the-scenes anecdotes. Milwaukee Art Museum (March 29-April 1) – The four-day “Tribute to Art and Flowers” will feature guest appearances by celebrity floral designers and gardeners Zannah Crowe, Mark Dwyer, Melinda Myers, and René van Rems, and presentations on European High Style design, shade perennial selections, colorful gardens and easy methods for growing orchids. Columbus Museum of Art, Ohio (April 19-22) – Staged around a Venice theme, highlights of the Italianesque weekend include a wine tasting, “Evening in Venice” gala, jazz brunch, garden day trip and several workshops. Minneapolis Institute of Arts (April 28-May 1) – Join the Institute as it hosts its 28th “Sensing Spring” Art in Bloom with works of 150 floral designers, several lectures, a floral design demonstration, luncheons, family activities and an after-hours party.